It is our aim that through these pages and links we will be able to provide you with up to date news and information about Fittleworth Village School. 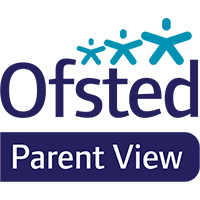 We pride ourselves in providing a happy, safe, rich and caring environment that we know is essential in order that each child can reach their full learning potential. We further hope that through these pages you will share, just a taste of the values that we hold dear. We welcome visits from prospective parents and interested members of our wider school community. Schools, nowadays, are so rigorously inspected, monitored, analysed and scrutinized that it is far too easy to focus on league tables and data and forget about the happiness and general well-being of the children we entrust to them. In order to learn, children need to attend school regularly and happily so it’s really important that we don’t undervalue all the stuff that goes on around the, so-called, core subjects. Don’t get me wrong! Teachers work and plan tirelessly in order to make the learning of English grammar or improper fractions relevant and fun but I’m guessing it’s probably not this that motivated your child to get out of bed this morning. More likely; it is the exciting topic that ties all their learning together, a trip to the woods for Forest School, music, art, drama, PE, yoga, looking after the chickens at lunch time or the excited anticipation of scooter club at the end of the day. The pressures wrought on teachers and children by the expectations of the National Curriculum, in its current guise, make it more important than ever that schools are thoughtful and skilful in the way in which they weave back in the fun, creativity and pure joy of learning through play and discovery. An outstanding school is the one that your child skips happily to in the morning and leaves tired (and maybe, even a little bit grumpy) at the end of the day. For more information on Fittleworth C.E. Village School you can visit our website at www.fittleworthschool.org.uk or contact 01798 865419 to arrange a visit. Fittleworth Church of England Village School is committed to safeguarding and promoting the welfare of children and expects all staff and volunteers to share this commitment. This means that we have a Child Protection Policy and procedures in place which we refer to in our prospectus. Parents and carers are welcome to read the Policy on request and it is available to download from this website. Our Designated member of staff for child protection is our Head teacher Mrs Debbie Burnett and in her absence is Mrs Kathy Allum.